Buckeye Creek Outfitters – An affordable hunt. An extraordinary experience. Buckeye Creek Outfitters has operated a family-owned-and -operated hunting outfit in Pike County, IL, since 1998. We are a superior organization dedicated to a quality hunting experience for everyone. Pike County is well-known for producing outstanding whitetail deer and places numerous record book trophies in the books every year. Looking for a chance at a trophy Midwest buck? 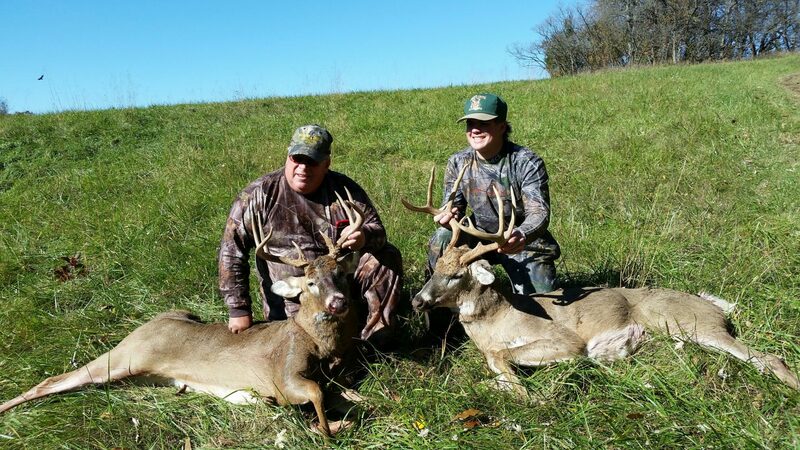 Pike County, Illinois, is well-known for producing outstanding whitetail deer and places numerous Pope and Young trophies in the book every year. In fact, Pike County, Illinois is the #1 deer county in the state of Illinois! Buckeye Creek Outfitters is family owned and operated and limits the hunts, allowing only six hunters per five-day hunt from our lodge to ensure a quality hunting experience for everyone. With our experienced guides, proven stand sites and quality whitetail deer management practices, you will have an outstanding opportunity to harvest a mature whitetail buck. Each hunter will have 100 acres to themselves to hunt. You will see deer! This is fair chase bow hunting at its best! There is no guaranteed harvest. All hunts at our lodge include accommodations, meals, guide and in-field transportation and game care. All hunters are responsible for their license. Children 16 and under are half-price on all hunts. All children must meet Illinois hunting requirements. We also have excellent flocks of wild Eastern Turkey. These birds are well fed from local farm fields and are allowed to grow to maturity. Fall turkey hunting is available for our bow hunters, and runs concurrently with the deer season. We recommend that our hunters pick up one of these permits, which are available over the counter, so if “Boss Gobbler” happens by, you can take that shot. 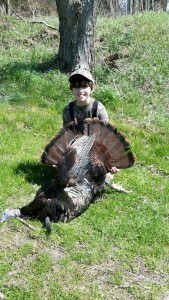 Spring turkey hunts are available with callers or you can call for yourself. Spring turkey gun hunting is by permit only, with lottery dates specified by the Illinois Department of Natural Resources. There are five different Spring seasons to choose from, usually beginning the second week of April and running through the second week of May. Lottery submission begins in November prior to the season with drawings in November, December, January and February (see www.dnr.state.il.us for detailed lottery instructions).